Suffolk Libraries are hosting lots of events aimed at children and families this half-term. Some highlights include: Harry Potter Night events throughout February, the Sutton Hoo visits at Shotley (Suffolk Libraries Local) and Southwold Library, as well as a Marsh on the Move Roadshow at Lowestoft and Southwold Libraries that will be held in partnership with the Suffolk Wildlife Trust. Saturday 16th February 10:45am to 12:00pm – Lowestoft Library – Harry Potter Crafts & Activities: Join us in our regular Saturday Fun slot for Harry Potter crafts and activities. Saturday 16th February 14:30 to 16:00 – Haverhill Library – Hooked on Books: You’re invited to the inaugural meeting of Haverhill Library’s new book group. As it’s the first meeting, please bring along your favourite or current book for discussion. Saturday 16th February to Sunday 24th February – Sudbury Library – Harry Potter activity packs: Pick up your Harry Potter activity pack containing a sticker, word search and craft material, plus you can find hidden Horcruxes in the library for a chance to win a Harry Potter stationary set. Sunday 17th February 13:00 to 14:00 – Beccles Library – Make your own laurel crown: Children are invited to make their own laurel crowns. Contact the library to book in advance. Monday 18th February 10:30 to 11:30 – Beccles Library – Make your own Egyptian Headdress and collar: Children are invited to make their Egyptian headdresses and collars. Contact the library to book in advance. Tickets are £2. Monday 18th February 13:00 to 16:00 – Shotley (Suffolk Libraries Local) – Sutton Hoo roadshow: Handle historical objects from Sutton Hoo and learn all about the site from the experts who work there. Monday 18th February 15:00 to 18:00 – Gainsborough Community Library – Lego Club: Families are invited to get creative at our Lego Club. Tuesday 19th February 10:00 to 15:15 – Gainsborough Community Library – STEMmettes Young Women in Tech event: Girls aged 12+ are invited to meet at the library for a trip to BT at Adastral Park, where they can learn about the exciting career opportunities open to them in Science, Technology, Engineering and Maths (STEM). Transport and food provided. Advance booking by contacting the library is essential. Tuesday 19th February 15:45 to 16:45 – Gainsborough Community Library – Fantastic Beasts stories, crafts and butterbeer: 8+ year olds are invited to make their own wands and pendants and enjoy some butterbeer. Wednesday 20th February 10:30 to 12:00 – Lowestoft Library – Marsh on the Move roadshow from Suffolk Wildlife Trust: Families are invited to find out all about Carlton Marshes with activities including “That Stinks!”, “Poo Power!” and “Be a Marsh detective.” Tickets are £1 and booking in advance by contacting the library is recommended. 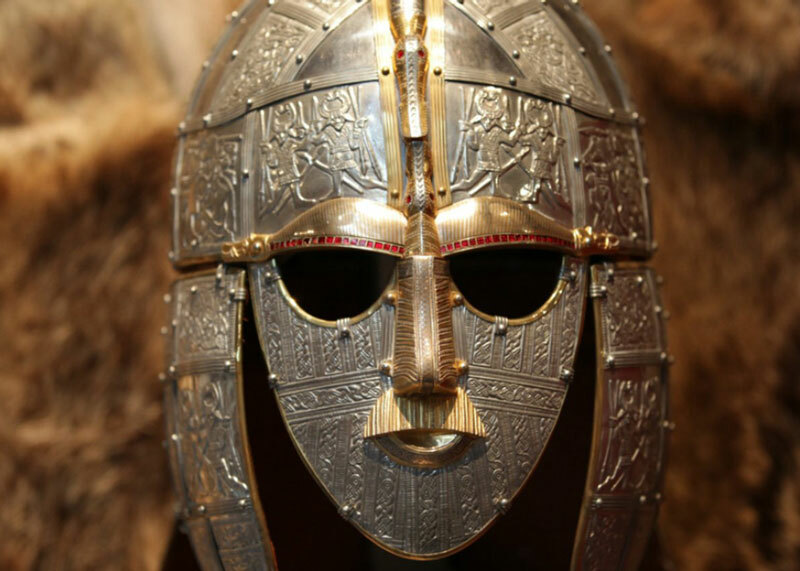 Wednesday 20th February 11:00 to 15:00 – Southwold Library – Sutton Hoo roadshow: Handle historical objects from Sutton Hoo and learn all about the site from the experts who work there. Session includes lots of activities for children. Wednesday 20th February 14:00 to 16:00 – Gainsborough Community Library – Family art session: Families are invited to get creative at this family art session. Wednesday 20th February 14:30 to 15:30 – Beccles Library – Make your own Chinese tangrams: Children are invited to make their own Chinese tangrams. Contact the library to book in advance. Tickets are £2. Wednesday 20th February 15:00 to 17:00 – Kesgrave Library – Harry Potter Lego afternoon: Come and enjoy a Harry Potter themed Lego session. Have a go at creating Hogwarts or a Fantastic Beast! Attendees can also purchase raffle tickets for the chance to win Harry Potter themed prizes. All funds to the library. Advance booking by contacting the library is essential. Thursday 21th February 10:30 to 11:30 – Beccles Library – Make your own boomerang and dot art: Children are invited to make their own boomerangs and dot art. Contact the library to book in advance. Tickets are £2. Thursday 21st February 13:00 to 17:00 – Gainsborough Community Library – Games afternoon: Drop in to the library and have a go at some boredom-busting games this half-term. Thursday 21st February 14:00 to 15:00 – Gainsborough Community Library – Basic first aid for under 8s: Accompanied children under 8 are invited to learn basic first aid techniques. Thursday 21st February 14:15 to 15:30 – Lavenham Library – Half-term Lego and crafts: Join in the Lego fun and crafts. Thursday 21st February 14:30 to 16:00 – Thurston Library – Half-term crafts for 5-11 year olds: Accompanied children aged 5-11 are invited to make some crafts at the library this half-term. Thursday 21st February 15:00 to 17:00 – Kesgrave Library – Harry Potter Lego afternoon: Come and enjoy a Harry Potter themed Lego session. Have a go at creating Hogwarts or a Fantastic Beast! Attendees can also purchase raffle tickets for the chance to win Harry Potter themed prizes. All funds to the library. Advance booking by contacting the library is essential. Thursday 21st February 15:15 to 17:00 – Gainsborough Community Library – Basic first aid for over 8s: Children aged 8+ are invited to learn basic first aid techniques. Friday 22nd February 10:30 to 13:00 – Southwold Library – Kidz Film Fun: The Lion King: Children are invited to watch The Lion King (1994) and make their own lion mane, hanging monkey, pop-up meerkat or squeaky trunked elephant whilst enjoying some slimy yet satisfying worms, lion cupcakes, lion cheeses and edible warthog poo! Under-8s must be accompanied by an adult. Friday 22nd February 11:00 to 12:00 – Newmarket Library – Music & Puppets for 4-9 year olds: Children up to the age of 9 are invited to make dancing puppets this half-term. Friday 22nd February 15:30 to 16:30 – Beccles Library – Make your own Aztec headdress and dragon: Children are invited to make their own Aztec headdresses and dragons. Contact the library to book in advance. Tickets cost £2. Friday 22nd February 16:00 to 18:00 – Gainsborough Community Library – Family craft session: Families are invited to get creative with various crafts. Saturday 23rd February 10:45 to 12:00 – Lowestoft Library – Beach Bonkers: Join the library in their regular Saturday Fun slot to find treasures in Beach Bonkers’ mini-beach, handle objects discovered on the beach, play the giant beachcombing board game and make some crafts. Event bookings are made through the individual library you wish to attend. However, if you have any questions or feedback, you can e-mail Suffolk Libraries at [email protected].